SLUG Magazine recently had the good fortune to talk with James Dashner on all things Utah, Syfy and TV binge watching. On the verge of producing his last book and a new blossoming career in creating box office success, Dashner is a graduated talent finally getting the credit he has worked so hard for. SLUG: Hello! This is SLUG Magazine. How are you doing? On any book tours or doing any traveling? James Dashner: No, I’m just gearing up for the Holidays. Out of town visiting some friends and family, but umm… still trying to gear up. SLUG: So, are you looking forward to your holiday season? Has it been going well so far? Dashner: Yeah, so far so good. It’s kinda nice. I did so much traveling this fall; it’s nice to take some breaks. SLUG: Well, you’ve had a lot of success. Dashner: Yeah, it’s been a good fall. SLUG: So I guess we should jump into some questions now. I was on your web page, and it mentions that as a child you did a lot of reading and that lead to your storytelling. Do you remember the first book that made you want to write a story? Dashner: Hmm… What really stands out to me are the Roald Dahl books. James and the Giant Peach is the one that really stands out in my head. I love the quirky magic in those stories. Then I fell in love with Judy Blume and there was The Hardy Boys and all that kinda stuff. Even as a kid I loved writing stories. I have a copy of a story I wrote when I was eight years old and I’ve been dreaming about it ever since. SLUG: Now you’ve written sixteen books. That’s a lot for the period of the time you completed them in. So for all the writers out there; what’s your daily pace for writing? Dashner: It depends on what stage I’m in, but when I’m in first draft mode I usually try to do a session in the morning and a session in the afternoon where I write between 1000 and 2000 words. When I’m in editing mode I go off hours of time. I’m kinda nerdy. I set goals for that stuff. I have a friend Brandon Sanderson, who writes 400,000-word books, so I feel my job is pretty easy compared to his. SLUG: With your stories, when do you know when you have an idea good enough to make a story? What clicks or goes off in your head? Dashner: Man, that’s a good question. I’ve gotta follow my instincts. I’m getting ideas all the time. Usually, there’s one that sticks in my head that I feel everyone would like and I just dive right into it. SLUG: How many books do you see your Maze Runner series being? Dashner: Well, I see the series as two separate things. There’s the original trilogy that stands on its own and then there’s The Kill Order and the prequels with completely different characters. I’ve got at least one more book in me, this prequel I’m gonna write called The Fever Code. 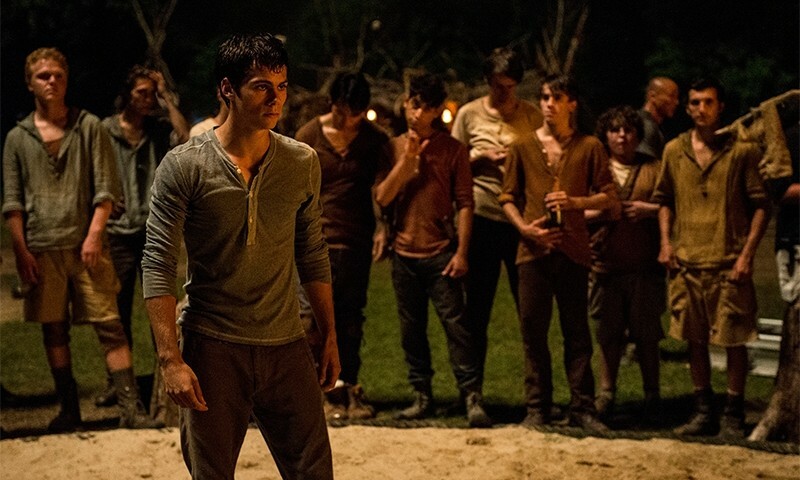 It’s something that was in my head even as I was writing The Maze Runner, and it’s gonna be a lot of fun for the readers to see all the characters from The Maze Runner right up to when they went in the maze. After that, I really don’t see me writing anymore. That will be it. SLUG: Now, being from Utah and growing up in Georgia, was there anything from your culture or environment that fed into your characters or the plots within your stories? Dashner: Oh, yeah, for sure. I’d say every one of my books has something from the environment that I’ve lived in at some point or another. Like the first book I wrote, A Door In the Woods. Basically that entire story was me in Georgia, my house my surroundings… everything. I grew up playing in the woods, so a lot of my books feature the woods or a forest. 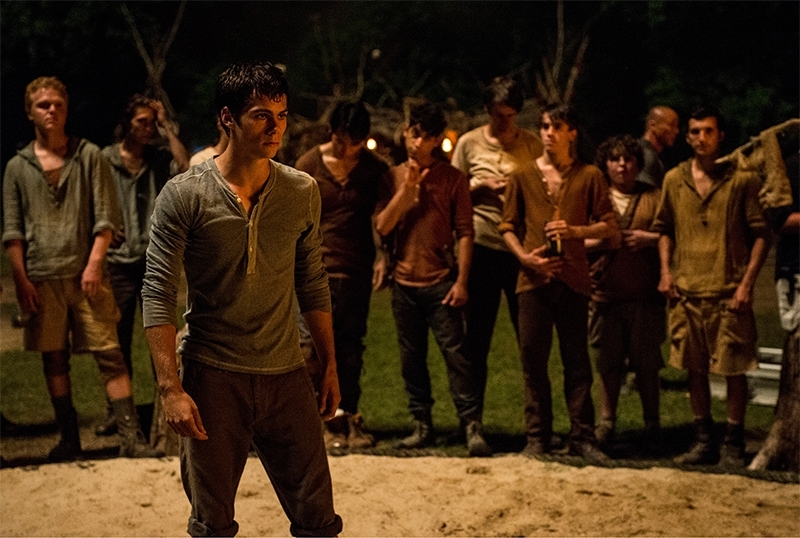 You even see that in the Maze Runner with the little forest by the Glade. I think the mountains and all the awesome nature here in Utah have made their way into my books. The Scorch Trails and the desert and mountain-y scenes were things I actually envisioned from here in Utah. SLUG: In your stories, how do you go about creating your characters’ personalities? Dashner: It’s really kind of hard to explain how I come up with characters. I usually create two or three traits about the person like: this guy’s a smart alec or reckless, always late, can’t depend on him. Then I rely on my instincts to fill in the blanks and to create that person’s dialogue in a way that would seem natural. A lot of it’s just trusting my instincts. SLUG: Now, the monsters you created in your books, particularly Maze Runner, are original monsters. What was the reason you created them as opposed to using traditional monsters that already exist? Dashner: I always try to be as original as I can. I wanted something that was my own creation. These monsters are sort of a combination of all the things I’m scared of in life: slimy stuff—I hate slugs—scary sounds and sharp metal objects. It’s just fun to create my own thing and I’m very pleased with how they translated to the big screen. SLUG: So, on an unrelated note: What do you do here in Utah to unwind between books? Dashner: Well, I love to ski and I love to hike. So Utah is the perfect place to be. I like every season of the year here, and I’m a huge movie buff. I see almost every movie that comes out. I love the Megaplex Theatres and the Broadway Theatre, so Utah is a great place for me to live. SLUG: Who do you think makes the best burger in town? Dashner: Oh, that’s a good question. Hmm… I’d say Tony Burgers, and you have to get the Tony Sauce with jalapeños on it. SLUG: You were here one day for Utah’s first Comic Con; is there any chance you’ll be coming back? Dashner: I definitely hope to be a part of that on an annual basis. The second movie in the Maze Runner trilogy comes out this September, so that will be a chaotic time, but I’d really like to work something out. SLUG: Are you aware there’s a Dashner Army? Dashner: Oh yeah. It’s kind of awesome. We don’t know how it started. One day it was tweeted. I re-tweeted it, and it grew and became a thing. It’s now a website, and we’re trying to have a newsletter every month. SLUG: OK, last silly question. Now, on your blog, you talk about being a fan of TV and recently Sons of Anarchy. Now, in the age of binge watching, what’s the James Dashner approach to determining which shows are worth following and which are not? Dashner: Oh man, great question. I have absolutely fallen in love with TV the last couple of years. My first rule, usually, is to wait till its second season so I don’t have to worry about it getting canceled. I like things that are on the darker side or are crime-related. Usually, I get a vibe about the show and then I take advice from people as well. SLUG: Well, thank you so much for talking with SLUG Magazine. Is there anything you’d like to leave your Utah fans with? Dashner: Yeah, I appreciate all the support out here. I’m really proud of my new series The Eye of Minds, and I hope everyone checks it out despite all the Maze Runner hysteria. It was really nice talking to you guys, and I hope everyone enjoys their holidays.